In this Martin & Sylvia: Nature School story, "Tender Seedlings," when Sylvia wakes up one morning and smells the oatmeal porridge for breakfast, she wonders, “Why do we always have the same foods for breakfast?" While working on a nature school project of planting kale seeds in egg carton pots, Sylvia and Momma discuss this question and consider the idea that people — as well as garden seedlings — feel tender in the morning and don't want lots of change. We are joined by KC, our sparkle media curator, who will show us how to make egg carton seed starters. One of the easiest ways to get started gardening is by planting seeds. It's fun and easy to do with children of all ages. 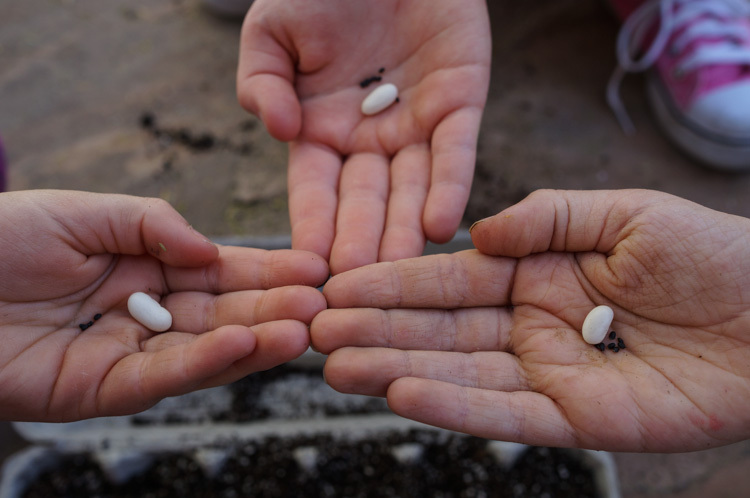 Like Sylvia and Sofia, you don't need any fancy materials; you can simply use an egg carton, some seedling soil, and your choice of seeds. Start by collecting all of your materials. I recommend starting with plants that sprout quickly and are easy to grow. Basil is a great example, as well as tomatoes and kale. 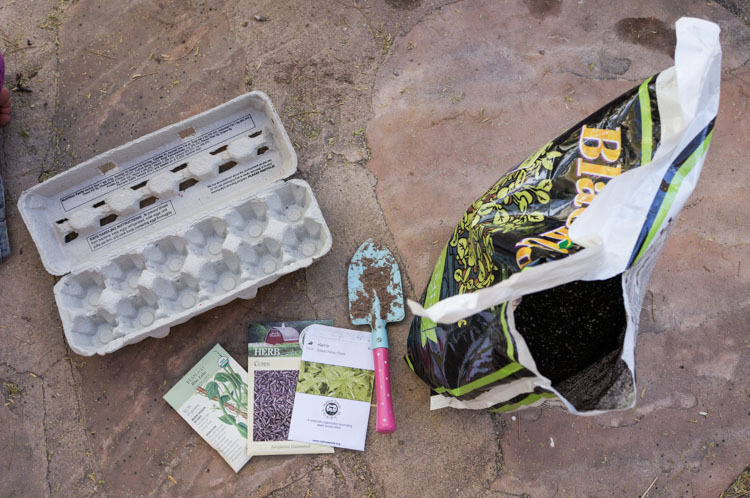 Using your hand or a trowel, fill the egg carton with seed starting soil. Seed starting soil is an extra light soil that easily allows the seed to sprout and grow. 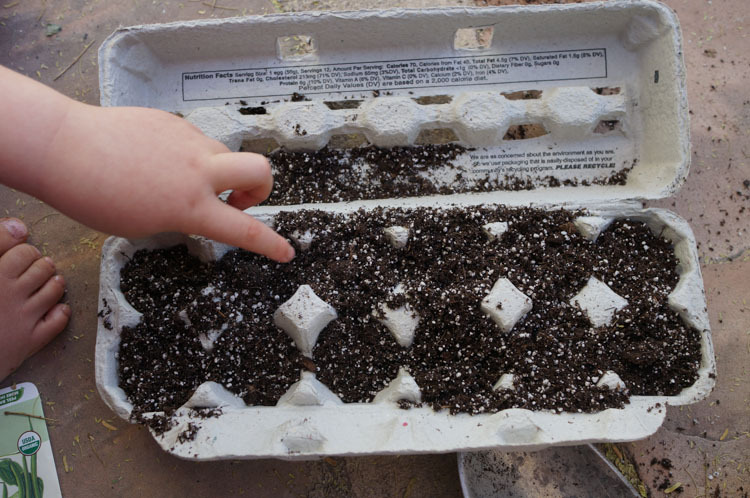 Lastly, mist the soil in the egg carton with a spray bottle or gently pour water over each compartment to wet the soil. Place the egg carton in a sunny window and keep the soil moist. Don't let it dry out or the seeds will have trouble sprouting. Try to keep the temperature and moisture even thoughout the sprouting process because, like Momma says in the story, seedlings don't want too much change while they are growing. If you feel like singing the seeds a song to help wake them up, try the one Sylvia sings in the story! "Mother Earth! Take our seed and give it birth! Father Sun! Gleam and glow! Until the roots begin to grow! Sister Rain! Sister Rain! Shed thy tears to swell the grain! Brother Wind! Breathe and blow, Then the blade green will grow! Earth and Sun, Wind and Rain, Turn to gold the living grain!" About a week after the seeds have sprouted you can transfer them to a larger container as needed.